Easily improve bathroom accessibility with this supportive shower seat with backrest. This shower seat with backrest is designed to assist the elderly or disabled when standing is difficult. Easily set up without tools and shower in confidence thanks to a lightweight and sturdy aluminium frame complete with supportive backrest armrests. Please read the dimensions to check it will fit in the shower or bath where you would like it to go. 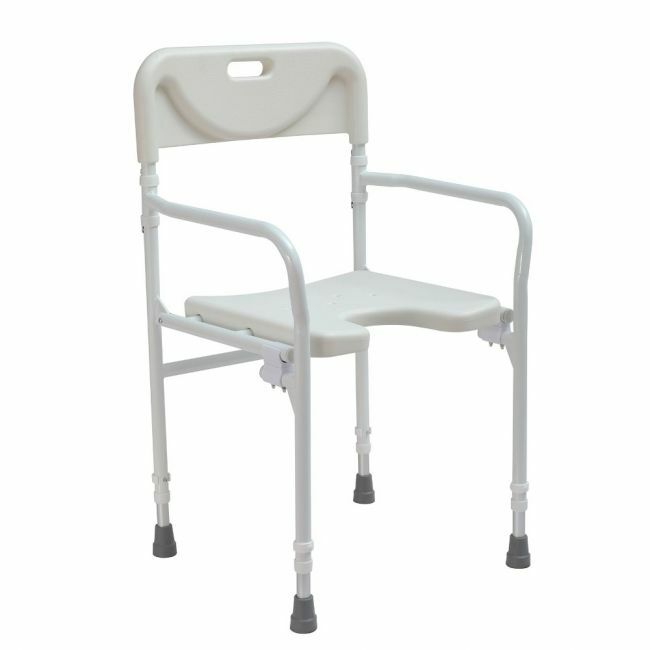 Height: 89cm / 35.0" to 97cm / 38.2"
Seat Height: 46cm / 18.1" to 55cm / 21.7"
Seat Width: 41cm / 16.1"
Folded Height: 89cm / 35.0" to 97cm / 38.2"
Folded Width: 51cm / 20.1"
Folded Depth: 17cm / 6.7"
76cm / 29.9" x 51cm / 20.1" x 18cm / 7.1"